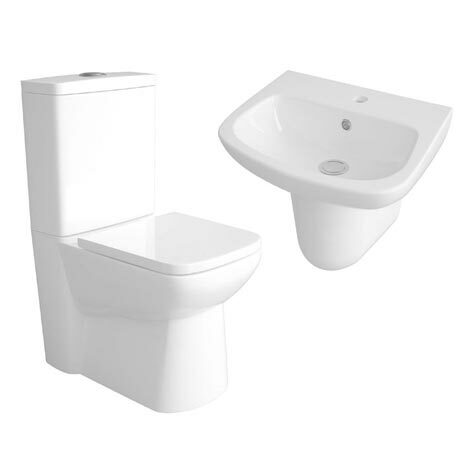 The stylish Premier Renoir 4 Piece Bathroom Suite includes a compact close coupled back to wall pan & cistern, a soft close seat and a choice of either a 450 or 500mm 1 tap hole basin with semi pedestal. The toilet is perfect for small spaces with its short projection of only 585mm. Semi flush to wall design conceals pipework and makes the bathroom easier to clean. Features fully equipped cistern fittings with water saving dual flush mechanism.